ACTIVISM. A group of NordicResistanceMovement activists and members held a demonstration against the “Roslagen Pride” celebration in Norrtälje, Sweden, on Saturday. Roslagen Pride is a two-day festival designed to promote the homosexual agenda via political discussions, workshops, public appearances and “children’s activities”. According to the organisers, this year’s event would also have a particular focus on the coming election and “diversity”. 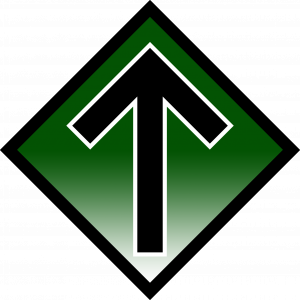 The Nordic Resistance Movement has long been aware of the homo lobby’s attempts to sexualise white children and therefore organised a flash demonstration to oppose the event. Activists from Nest 1 assembled at the site of the festival to the sound of an air raid siren and displayed a banner reading: “Nordic Resistance Movement: For the Sake of the Nuclear Family”. Meanwhile sympathises set off several smoke grenades, causing a green cloud to descend over the festival grounds. The activists then gave a short speech via megaphone. The speech focused on how the homo lobby contributes to increased acts of self-harm among youngsters; its connections to paedophilia; and its promotion of drugs, violent sexual acts and the legal spreading of HIV. During the protest the politicised police made an awkward attempt to block the banner from public view with one of their vans, while a line of officers stood in front of the activists. Unfortunately for the police, their actions didn’t stop any of the attendees from hearing the Resistance Movement’s message, and the activists received several supportive shouts from passers-by. Apart from trying to block the banner from view, the police remained surprisingly calm and passive throughout the demonstration. The speech finished with an exhortation to the festival’s participants to question their attendance at the event and to vote for a healthy alternative that protects the traditional family. 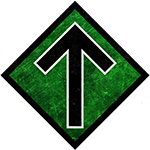 The Nordic Resistance Movement will never accept the sexualisation and exploitation of children for sordid political purposes, and we will actively counteract the lobbying the RFSL (Swedish Federation for LGBT rights) and similar organisations.